Where do the wood pellets burned in the UK come from? How much wood are we talking about? Right now, Drax is the only UK power station that burns imported wood pellets rather than domestic woodchips. In 2017, Drax burned 6.8 million tonnes of pellets (made from 13.5 million tonnes of wood). The majority of those pellets came from the southern US, with most of the remainder coming from Canada, Latvia and Estonia1. However, the mothballed Lynemouth coal power station is currently being converted to biomass and is expected to start operating later in 2018. And MGT Power (owned by Macquarie Group and the Danish pension fund PKA) is building a large new biomass power station at Tees Port which is to open in 2020. Each of those power stations is to burn 1.5 million tonnes of pellets annually, and both have entered into sourcing agreements with Enviva, Drax’s biggest external pellet supplier. The UK’s total annual wood production is 11 million tonnes, and even before the biomass boom started, the country was 80% dependent on net imports for the wood it used 2. Protest at Drax Power Station, October 2016. Photo by Sebastian Wood. 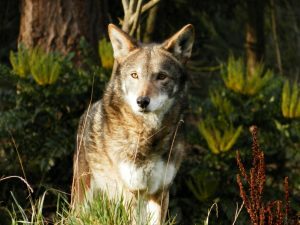 These Southeastern coastal forests in the US are home to bears, endangered red wolves, salamanders and a number of bird species as well as many endemic plants. 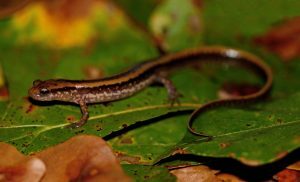 According to a 2015 report by the National Resources Defense Council, the potential pellet sourcing area for existing and proposed pellet mills includes “critical habitat for 25 species that are federally listed as endangered or imperilled”. The area has been classified as a biodiversity hotspot4, meaning that it contains an unusually high level of biodiversity (2000 endemic species in all) and that it is threatened. The threats here come from forest degradation and fragmentation, caused by urbanisation and ‘forest industries’ such as biomass. These communities then have to live with increased air pollution, dust, noise and heavy traffic as well as loss of their local forests. 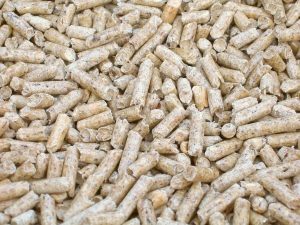 The UK is currently the world’s largest importer of wood pellets, but other countries are ramping up their imports and wood burning. At the COP23 international climate conference in November 2017, nineteen countries including the UK announced an intention to use more bioenergy as they move away from coal, in the mistaken belief that this is better for the climate7. Furthermore, there is no universally accepted definition of ‘residues’. 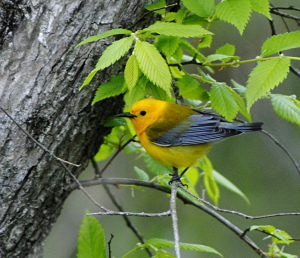 NGOs such as the Dogwood Alliance in the southern US have extensively documented whole trees being taken from forests to pellet plants9. Drax’s supplier Enviva routinely calls trees ‘low-value’ and ‘residues’ just because they have not grown thick, straight and tall! This applies to the majority of trees in many forest ecosystems! 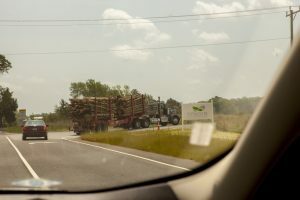 Log truck entering an Enviva facility. Photo by Dogwood Alliance. Finally, removing all logging residues depletes soils, leading to even more carbon to be lost to the atmosphere and future trees to be deprived of the nutrients they need to grow well. Ecosystems need ‘residues’, including dead trees and branches to survive and regenerate. Especially in the global South, industrial tree plantations are responsible for large-scale land grabbing, depriving forest-dependent communities, small farmers and other communities of their land, livelihoods and food sovereignty. See here for the Southern Environmental Law Centre’s map of proposed and existing pellet plants in the southeastern states, with the areas they will be sourcing wood from. Unfortunately, there is a long tradition that refers to tree plantations as forests, or ‘planted forests’. The definition stems in part from the United Nations Food and Agriculture Organisation. 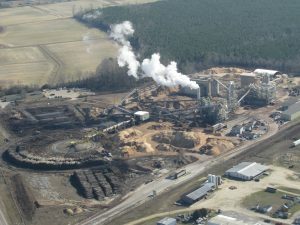 The failure to differentiate between forests and industrial tree plantations is very convenient for the forestry industries. By referring to their monoculture plantations as ‘forests’, they convince the public that they are doing something ‘good for the environment’ and ‘good for the climate’; tree plantations are in reality a major underlying cause of deforestation and biodiversity loss. Tree plantation owners can even be financially rewarded from sale of ‘carbon credits’.